Communication is important if we want to be successful in life. Most of my life I struggled to communicate and it was frustrating. I couldn't understand why my words refused to flow. I had all these thoughts inside my head and they just stayed there. Luckily I got better at it. 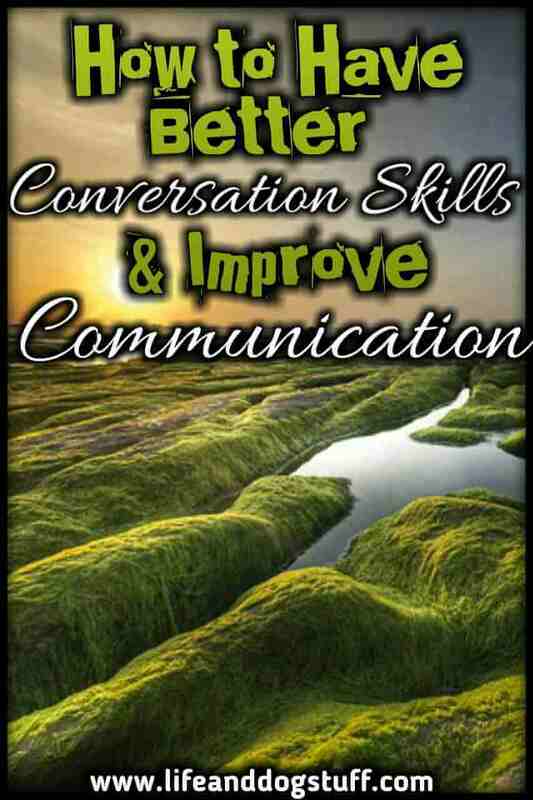 If you want to know how to have better conversation skills and improve communication with others then read on. I thought sharing my experience might help others that are struggling to communicate with people online and in real life. Social media was something new to me too. I had to learn how to navigate that world after I started my blog. I was never good at communicating. I was always very shy. Plus I'm an introvert. That combination meant I had no social skills at all. I always froze up when someone tried to talk to me and gave one-word answers. Loads of time was spent trying to crawl into the nearest hole. Lol! I got a little better at it as I grew older and when I started making friends, but it was one of those skills I had a hard time cracking. Especially when talking to random people. When I started working, all my jobs involved communicating with people. I worked in IT. They tell me what's wrong and I guide them to fix the problem. So there was a lot of talking and intuition involved. I say intuition because people omit information that makes you the listener not understand what they need or want. I got good at reading between the lines and asking the type of questions that helped me understand better and to make the person tell me things they forgot to mention. I also had to know what type of person I'm dealing with in the first 15 seconds and adjust to their level. You either mimic them or if they are upset you stay calm, empathize with them and try to bring them down to your level. Note that I hated this job, but it taught me a lot about different types of people and communicating with them. Everything we see as different about someone is just the labels we mentally assigned to them. Remove their titles, what they have or don't have, their personality traits or whatever makes them different from me, then they are just human. 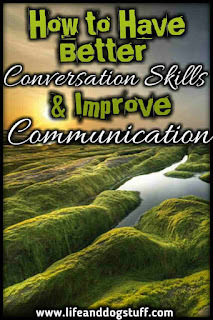 Let's look at some ways I learned how to communicate better with others and hopefully, it will help you too. Mimicking/mirroring can be copying someone's body language, using the same tone of voice as them and also repeating words back that they use. If someone says "hello", don't say "hi". Say "hello" back. Matching their words are important. It makes them feel you're on the same level. It works for many other words too. You just need to listen to the type of language they use, what they do with their hands and feet and if their voice tone is slow, fast, upbeat etc. Don't be a parrot and weird them out. Be subtle. These things normally come naturally to us, but for someone like me with zero social skills, it was something I had to become aware of by studying people that are good at communicating. Know that mimicking someone does not mean have no opinion of your own and just repeating what the other person is saying and agreeing with them. Always be yourself. People like when you notice they put effort into something. In real life when I see someone that I know, I always compliment them. I was not even aware that I was doing it until I researched The 5 love languages. It's something natural I do because I love when people notice when I put effort into something. You can compliment someone on how they look, if they created something awesome, for doing a great job etc. I don't care too much about being complimented on how I look. I'm more of a compliment me for this tasty meal I just prepared for you or "look I created this, do you like it?" type. It makes me feel good that my hours of effort gets noticed. I'm only human after all. Same applies when on social media. If you see someone put effort into something, let them know you noticed. Zone into the thing you loved the most and compliment them on it. It's all about them. You can also let them know if you relate to it. That will make them feel more connected to you, but it should always be about them first. Asking questions to keep a conversation flowing is important. I'll admit I don't ask questions at the end of my blog posts. If someone wants to comment I welcome it and reply to all the comments. Questions at the end might not fit into most of the things I write about. Besides the blog, in real life asking questions is very helpful. I'm a naturally curious person so I used my curious nature to fuel conversations. Before the questions were just stuck in my head and it was hard to voice them. It has become easier. It's a known fact that humans love to talk about themselves. Asking people questions about themselves helps to fill the silent awkwardness. I hate when people ask me what I do for a living or things about relationships. But then again I'm very open on my blog. In real life, if someone asked me that, I'd still hate it. Some people can be judgy and I really don't want to explain myself. I should just tell them it's a long story. Read my blog. End of conversation. That's why it's important to use your intuition when asking questions. If someone gives you a gap so that you can ask a personal question, then go ahead. That means they will bring it up first. Also, offer something personal about yourself so that you can seem more human or relatable. There are closed-ended and open-ended questions. Things that require only yes/no answers and then things that require longer answers with an opportunity to expand the conversation. Don't use too many questions that can only be answered by yes and no unless you're in a hurry or love awkward silences. Make sure you're not the one always controlling the conversation. When you ask open-ended questions you give the other person a chance to open up. Example, "What did you think about (fill in the blank)?" or "Tell me about your day?". There will be plenty of opportunities to expand on the conversation for both of you. If you lean more towards closed questions it sounds like an interview or an interrogation. Using open statements like "I've been so tired from work lately" or "I'm so clumsy, I tripped over my own feet earlier" makes you seem more human. It will also prompt the other person to ask "What do you do for a living?" or "What did you trip over and did you get hurt?". Do you see what just happened there? You turn them into the one asking a question by stating something that piques their curiosity. You create conversation flow. They will empathize with you because it's a common thing that people are tired from working and everyone has probably tripped. Plus tripping is kinda funny. I often use my clumsy nature and my silliness when talking to people. I tripped just the other day and Fluff and Buff were all over me with licks and while I was still laying down, Fluffy started chewing my arm. Yep, my dog wants to eat me when I'm vulnerable. Watch out for open statements like that when you're talking to someone. Use it as an opportunity to ask questions. Maybe let them know if something similar happened to you. It builds a connection when you're relating to similar situations. Turning the question around also helps with conversation flow. After you answered, ask "And you?" or "What about you?". The fact that they asked you that particular question means they'll have no problem answering it themselves. Really personal questions should be avoided unless you've known the person for a while and you and they are comfortable talking about personal things. You can probably test the water by bringing up something personal about yourself and seeing if the person wants to know more and then turn the question around. That way they feel more comfortable sharing because you just shared. Saying things like "Can I ask you a question?" is really weird. If you're someone that does that, please stop. I know a handful of people in real life that think it's acceptable. For me personally, if someone asks me "Can I ask you something? ", then I want to disappear into the nearest hole. It sets up an awkward situation for you and the other person. Repeating again! Use your God-given intuition when asking questions. If everything I mentioned so far and will still mention seems like general knowledge, know that it's not. Creating conversation flow was something I struggled with. Someone told me once to turn the question around and I had no idea what they were talking about. Luckily it clicked afterward and I got better. Slowly, but surely. Being present means you're listening to the other person. Not just with your ears, but you're in tune with their emotional state and you're actively trying to decipher non-verbal cues etc. It's again about intuition and these things should come naturally to us all. I always treat a person how I want to be treated. If I think something will make me uncomfortable, then I won't put that person in the same position. I put myself in their shoes and in mine. If you're good with empathy, this won't be a problem. From a young age, empathy can be taught. You're not born with it. That's why you see bullying amongst children a lot because they have not developed or learned empathy yet. Some grow up without the skill, unfortunately. That's why it's important to teach children to be kind to others and to make sure your actions reflect that too. Children are the best at mimicking those who raise them. Empathy is also learned from your experiences. I think my empathy developed because of everything I've been through in my life and if I see something similar happening to someone else it's easy for me to put myself in their shoes. Even though I was not good at verbal communication, I was good at observing others and trying to figure out what makes them tick. I was born an introvert, my shyness came from not understanding myself and my empathy came from my experiences of being misunderstood. It made me want to understand myself and others better. In the end, it was a good thing. Remember what I just said. The things that I thought were curses, were blessings in disguise. Intuition works better if you know and trust yourself. Also be aware of your gut/intuition and your other inner voice. The other inner voice comes from past experiences and how you labeled a certain type of person. For example, some people still treat me a certain way even though I'm completely different now. They have not caught up yet. Sometimes I have to revert back to match how they see me. It just happens and I find it hard to control. That's how I know they can't be part of my life. It's exhausting when people do that. It's a common occurrence when you change. You outgrow people. They either need to catch up or you move on. Luckily most people in my life caught up. I've become close to them. We can actually have conversations now. Know that outgrowing someone is not about you being better than them. It's about them treating you the same when your rules of how you want to be treated have changed. Interests change as you change. If you notice you need to catch up with someone then it means you'll need to be present in their life. Notice, listen and inquire about what they've been up to. No assumptions or judgments! Then you might as well go your separate ways. I try to learn a lot about everything so that it's easy to talk about different things. If I'm clueless about a topic then I ask loads of questions. That way it becomes a learning opportunity instead of an 'I don't have much in common with this person' situation. I'm always up for learning something new. Curiosity is an asset when having conversations. I used to practice having conversations with people in my head. In front of a mirror too. Weird yes! It helped me be more comfortable with the person because I actually spent hours talking to imaginary them. 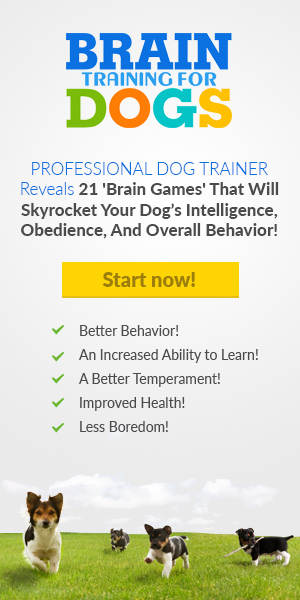 It's an effective way to improve your communication skills. I don't do it often anymore because I've become more comfortable having conversations. But there are certain people that still bring on the nerves. Some people just have that ability to make other people around them nervous. I was actually told once by someone that I make them nervous. Not really my problem. I try my best to be nice to everyone. That's all I can do. The thing with nerves is that it's normal. Especially meeting someone for the first time. By meeting two it's better, by meeting three the nerves go away. Depending on how much effort you actually put into getting to know the person of course. Yes, you. Not them. At our core, every human is the same. Treat them like that then you'll be fine. Everyone is just trying their best to make the most out of life. Practicing anything in your head is good when you're learning something new. The mind forms new links and to the mind, it's the same as doing something in real life. Being an introvert means I prefer alone time over time with other people. I won't go up to someone in real life and introduce myself. The fewer people I interact with the better. Where some people feel bad that they don't have many friends or they're not popular, I don't have that problem anymore. Sure, I had many friends throughout my life, but I always faded into the background. My friends shared my values. They liked the same things I liked. I even had a bunch of extroverted friends. What surprised me most was that I could easily talk to them. Extroverts are all out there. I noticed some of them brought out a more likable version of me. A funnier one. Weird, I thought. That's how I realized that I have multiple sides to my personality and I can also easily adapt to someone's mood or behavior. I'll never be an extrovert, but it was nice to know that I could borrow from them. Sounds strange what I just said, but there's no other way to describe it. Only once I understood my introverted nature, I made peace with the fact that I'm never going to be the popular one. Life happened and I had to basically start over and figure out how to function alone. There was no more "borrowing". It was scary yes. Just me and my thoughts. You can't escape depression when that happens. I had to slowly crawl my way out of it. Depression-free today for about a year and a half now. I keep wondering when it will come back. It just got up and left! Well, it was more complicated than that. I understand how I function now. I'm not going to fit in everywhere and I refuse to force myself to fit. It's a relief once you embrace who and what you are. 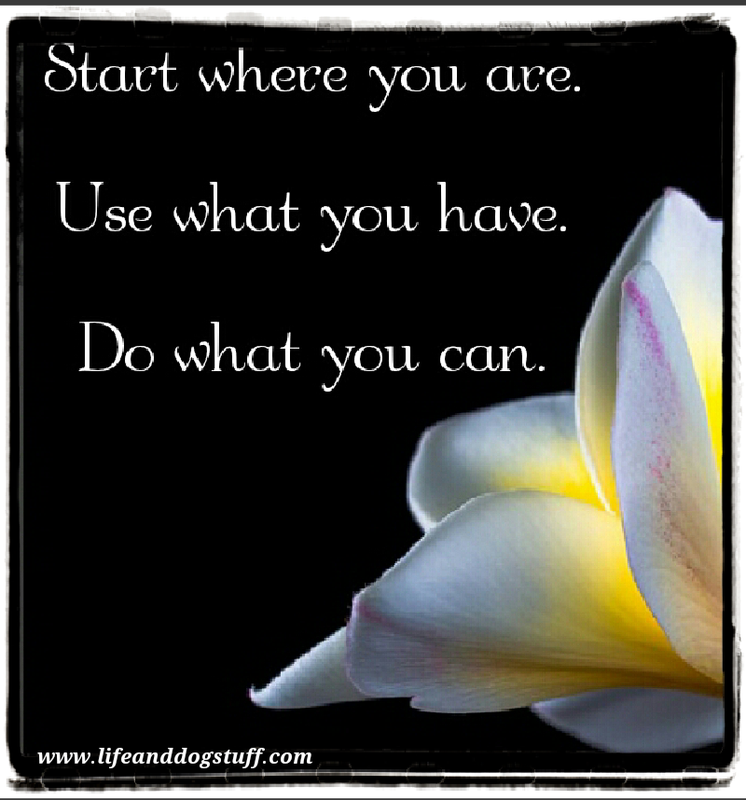 No need to try to change for others anymore. I can just be me. Being an introvert is not a disease that needs curing. I'm actually blessed that I'm one. If you're an introvert, remember it's just part of who you are. The sooner you accept it, the better. Everything is much easier that way. Even communicating. There is no need to impress anyone. It's a take me as I am, accept me this way or move on. If you're a shy introvert then you can work on your shyness. You'll probably outgrow your shyness through life experiences. If not, get to know yourself. Learn to love yourself. Stop comparing. No one is perfect. I'm definitely not. At the same time you're hiding, you're missing an opportunity to show someone your awesomeness. Life is about sharing your gifts with the world. Don't deprive someone of whatever you can offer them. It's no problem for me to be the first to introduce myself on social media though. I'll go say "Hi" and comment first. Compliment them if applicable and like their stuff. Then follow if it's something I'm interested in. On social media, it's draining too, just like in real life. But unlike real life, I can actually control the situation better. I gave myself breaks to recharge because I was too busy networking. I joined a lot of blogging groups and it felt like I was being pulled in a lot of different directions. It's okay to take a break from networking, meeting new people and interacting with them. I love my blog, but it started to feel like a job. It made me tired and took up too much time. It should be all about writing, but it's not. The breaks helped me refocus. I've automated some of my tasks now. My schedule spreads my interactions out during the week so that it feels more organized. I'm feeling more productive and at the same time, I'm not hating my blog for taking all my time and energy. Say nice things or keep quiet. If you're into spreading hate, remember karma exists. Also remember the things you focus on the most is what you'll attract into your life. The groups I've joined online and people I follow on social media only consists of positive people sharing their talent and inspiration. I've made so many online friends and blog friends in the last few months. Brilliant, talented people. They make me better. They make this writing thing look easy when it's not. I'm so grateful for all their support. When you want to grow your blog, following random people sometimes becomes a must. Mistakes were made and then unfollows were necessary. If I see someone posting things I don't want to see, I unfollow them. It's easy! Just press the button. I don't like swear words and pics of people that should be burned. If you're complaining there's nothing good about certain social media groups, then leave. Find places that share your values and join them. Same with real life. Surround yourself with positive people. With people that encourage you. With people that inspire and motivate. Their energy will rub off on you and you'll do the same to others. Do you know you're the average of the five people you hang out with the most? Think about it. I used to complain a lot. Reason being that I was surrounded by chronic complainers at my old job. Yes, it can force people to sympathize with you but at the end of the day, it's negative energy you're spreading. My bestie is very straightforward. He tells me when I complain too much. I sometimes do it still, but I stop myself and think about what kind of energy I'm spreading. I don't want to be that person. Luckily I have someone that pointed it out and I'm working on it. Everything about my blog and my social media presence is about spreading positiveness. 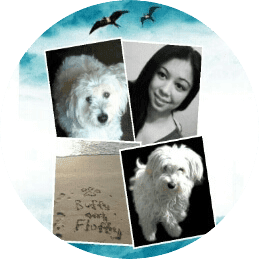 I wanted my blog to be a happy place. Someone can come here for a laugh or a dose of inspiration. Complaining is normal, but don't let that be what you're known for. There should always be a balance. Too positive is not good either. It will make you seem fake. Life is not all sunshine and roses. There are storms and pain too. I know some days it's hard to smile or laugh, but then again smiling and laughing tricks the brain into thinking you're happy and pumps you full of happy hormones. In short, it's not going to kill you if you smile at someone or laugh at their jokes. Gosh! Go ahead and laugh at yourself too while you're at it. It's an act that spreads joy. I'm not a serious type of person. Sure, a third of my blog covers more serious topics and I use my serious voice in there, but in general, I love to laugh a lot and be silly. Yes, I finally managed to access that side of me without needing to "borrow". I laugh at myself often. It helps me not get too upset about something when I see it through "Oh, it's kinda funny!" glasses. I smile at everyone I talk to. I'm very animated when I speak. My hands move a lot and my eyes go big or narrow. I never knew until a friend pointed it out. But that's my speaking style. If you attempt to mimic me, then I'd know. You'll look completely insane. I don't really care if someone doesn't take me seriously. If that's the case then that's their problem. I try my best to balance my different personality sides. Yes, I can adjust to someone's level, but then their seriousness might rub off on me. That's also why I choose who I interact with. It's easy to pick up someone's mood. Say thank you to people. A simple thank you is very important too. People want to feel appreciated for their effort. For going out of their way to assist you. Return the favor if you can. That is how relationships are built. People supporting and helping each other. If you have someone's back, they will have yours. I hoped that helped a bit and you enjoyed reading my communication skills tips. I know it was a long post, but I had a lot to say. Some people were lucky enough to be natural communicators. For me, I had no choice but to learn something that was unnatural to me. Even though I'm an introvert I still crave having conversations. I can actually talk non-stop sometimes. Random things just pop into my head and come out of my mouth. I'm glad I got to a point in my life where I'm not afraid to speak. It felt like a prison and no one knew how to help me or understood why I was that way. Through research, observing others and practicing I got better. If you're struggling or not sure how to communicate with people, remember it's not the end of the world. I got better at it and so can you. Like everything else in life, practice makes perfect. Pic credit: Pixabay free pics Renza edited. This is one I had to learn over time: 'you're the average of the 5 people you hang out with the most' - very wise words in this article. It's a great roadmap for introverts who are learning to become more adept at social interacting. Great article with great advice thanks for sharing. I love your blog.